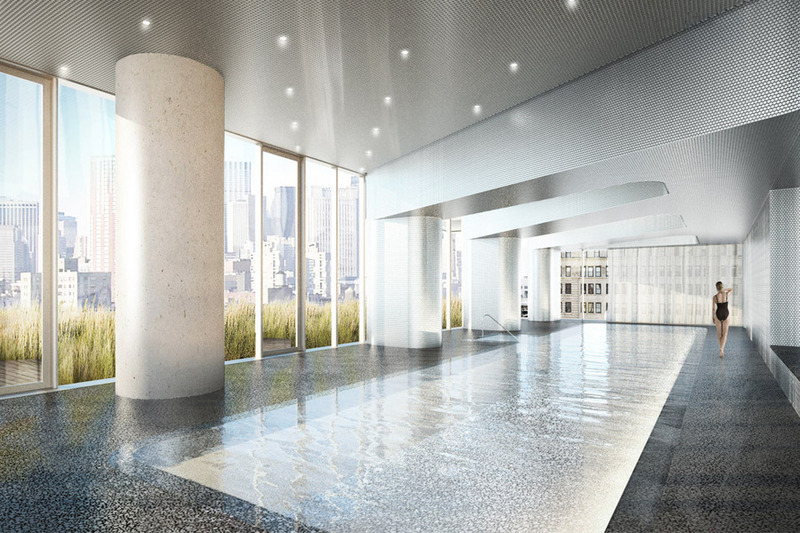 Architecture and custom interiors by Pritzker Prize-winning architects Herzog & de Meuron. 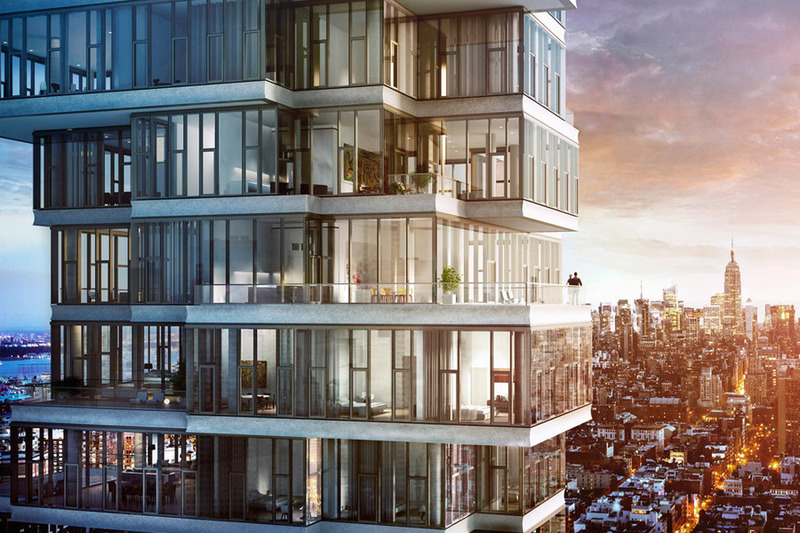 Located in Tribeca, 56 Leonard is a 60-story expression of sculpted surfaces and sparkling glass with an original Anish Kapoor sculpture at its base. The 145 unique condominium residences, each with private outdoor space, have soaring 11’- 14’ ceilings and breathtaking panoramas of the cityscape, rivers, bridges and beyond. 17,000 square feet of amenities include a 75’ lap pool with a sundeck, gym, screening room, lounge, private dining room and playroom. 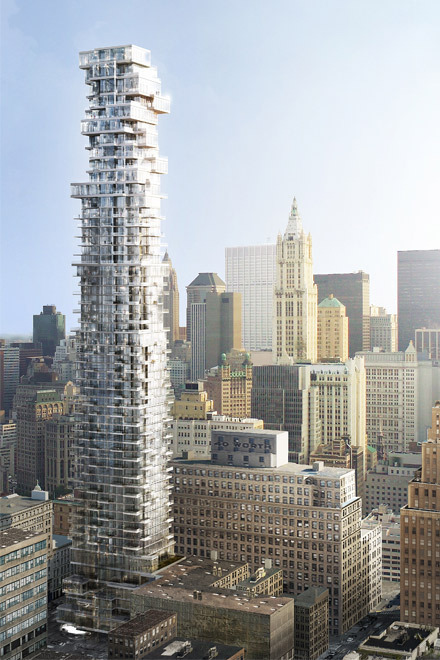 A Global Landmark redefining New York living.